Celebrating wedding anniversary with special Gifts has become a ritual and why not? This is the celebration of the life of a couple who stood by each other through the thick and thin. 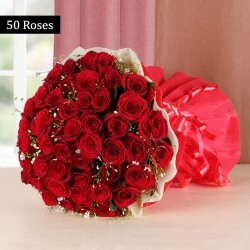 Send special anniversary gifts to Ludhiana and make a couple's day special and full of love. 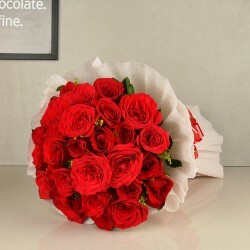 Send beautiful and heartfelt anniversary gifts to Ludhiana within 4 hours with express delivery of MyFlowerTree. Send gifts to your loved ones online and get yourself about of the hassle of going to market and search various shelves for just that one perfect gift. 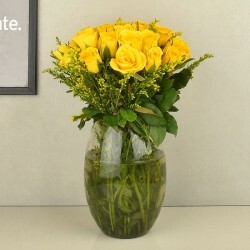 With our online anniversary gift delivery in ludhiana, you do not need to go anywhere or alter your schedule as you can get some of the best anniversary gifts delivered at the doorstep of your loved ones with just a few clicks. There could be nothing better than the freedom of choosing from an array of amazing gifts and then have the liberty of buying and sending them to your loved ones without actually moving out of your door! This is a blessing for anyone who either hates shopping or runs on a really tight schedule. Get everything done with your fingertips. You can now shop for that happy couple from your home and even from your work desk. Online shopping is the new way of gifting. When you want to do something special for someone, go ahead with something from our personalised collection of gifts and we are sure that you will be able to make someone jump with joy! Personalised gifts are truly one of a kind as they are custom made for your loved ones. Our personalised range of Mugs, Cushions and canvases are perfect souvenirs that will stay with the happy couple on their special day and even after that. Get a special couple photo or their names printed on these items and send it to them with our online delivery facility. 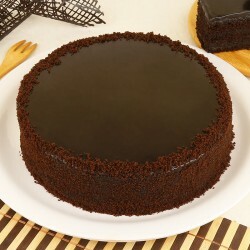 You can even get them their own special Photo Cake that will add a lot of enjoyment to their wedding anniversary party. Get their wedding photo or any other couple photo printed on the top of a delicious Cake of their choice and send it to their doorstep with us. Wedding celebrations are supposed to be beautiful and romantic. 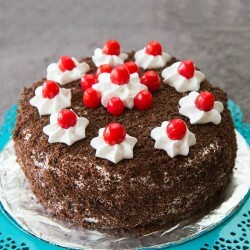 To make it happen, all you need are some gorgeous looking Flowers and a delicious Cake. If you are shopping from MyFlowerTree, you are in luck because we have the best florists and bakers in our house. With some amazing combos in our kitty, get the best of both worlds. We have some of the most amazing combos which are both aphrodisiac and romantic in nature. Take a look at some of our amazing Flower and Cake combos: Heart-shaped Red Velvet Cake with a bunch of 24 Red Roses, Beautiful and Romantic Rose Cake and Assorted Gerbera and Lily combos, a Heart-shaped arrangement of 50 Red Roses with Black Forest or Vanilla Cake and an aphrodisiac Chocolate Truffle Cake with a beautiful bunch of innocent Carnations. 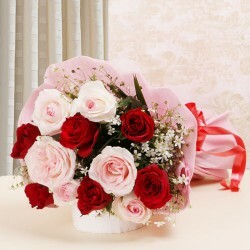 Flowers and Cakes are the best gift items that you can send to someone on their special day. Flowers and Cakes create perfect partnership and this is what a couple needs. Products in this category have been rated 4.7 out of 5 based on 145 reviews.